For a quick introduction of the school, please click here. 1. Great results achieved at the Proficiency test (JLPT) by Japanese Communication International School’s students. 2. High-quality living support to assist students whenever they need (get their National Health Insurance, Residence card …), including free or low cost Health Support. 3. Personalized study guidance : appointed staff are there to counsel students. 5. Many cultural and other activities (traffic safety lessons, life saving drills, business seminars, …). 6. Many fun events (Student Recreation, Field Trip, Sports Day, …). 7. Evening class available (short-term course). 8. Introduction to part-time jobs (and potentially full-time positions after the studies, depending on students skills) through ATEC, an employment agency. You will be placed in a class depending on your objectives and language skills. If your goal is simply to learn Japanese and speak it fluently, you will go to a General course. If you want to go to Higher Education in Japan, you will be prepared to take the EJU (the Examination to enter Japanese universities). This is the Academic course. You can choose programs of 12 months, 18 months or 24 months. The following levels are available: Beginner I, Beginner II, (Beginner & Intermediate), Intermediate I, Intermediate II, Advanced I, Advanced II, Advanced III, and Super Advanced. Each level is for 3 months. If you enroll at Beginner I, you will be in the Intermediate level after 6 months. If you start from Beginner II, it will take you 3 months to move up to Intermediate level. Beginner Class: basic grammar, vocabulary, listening, reading and conversation skills. Intermediate Class: aiming at eventually reaching JLPT N2. Advanced Class: preparation for the EJU and JLPT N2 (Advanced I) or JLPT N1 (Advanced II). 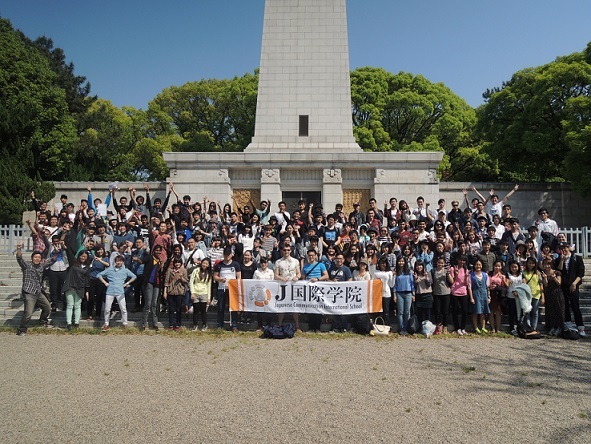 General Class: for students who do not plan to go to Higher Education in Japan, nor to be employed in Japan. The length of those courses vary from 1 month to 3 months, providing you with great flexibility. Each week consist in 4 half-days of class and 1 day of excursion. You can enroll with a simple tourist visa, or a working holiday visa (depending on your nationality – contact us to know more). You will be assigned to a class depending on the result of your placement test. When you pass the class, you can move up to the next level. If you fail the class, you have to take the class with same level next term. The evening course is focused more on improving conversation skills than studying composition or reading comprehension. It is a practical class using textbooks, but also Japanese songs and Japanese drama. Not only studying Japanese at school but many activities such as visiting vocational school, experience Japanese cultures, field trip, etc. are included. Various activities are organized for students in the school and out of the school. Tea ceremony, Ikebana (flower arrangement), Japanese cuisine, calligraphy … It is important that students get familiar with the Japanese culture, customs and activities. To have a look at various events during the year, please click here. 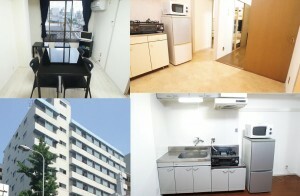 Japanese Communication International School provides various accommodation solutions, apartments to be shared, with either individual rooms, or rooms for 2 or rooms for 4. Entrance fee 30,000 Yens for Short-Term, 50,000 Yens for Long-Term. To have a look at one place, click here or here. All places are about 20 minutes by bicycle from the school, some places in walking distance. All basic amenities included (fridge, microwave, air-conditioning …). Here is an estimate of the costs to study for one year at Japanese Communication International School. 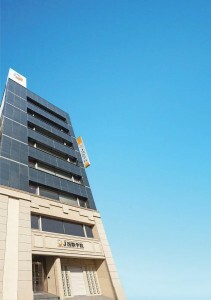 It includes the accommodation fees of 30,000 yens per month. Feel free to contact us if you have any questions.